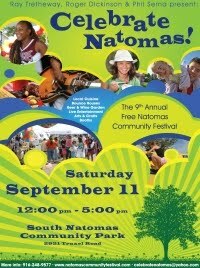 The 9th annual Celebrate Natomas festival takes place this weekend at South Natomas Community Park from 12pm – 5pm. The event is sponsored by City Councilmember Ray Tretheway and County Supervisors Roger Dickinson and Phil Serna. Visit Celebrate Natomas for more information. September 9, 2010 in Phil Serna.